Ted Nugent At The Gun Room Inc. (Friends And Family) – The Gun Room Inc. The Gun Room Inc. is and always has been a family business where we source and sell fine firearms to our extended family of friends. 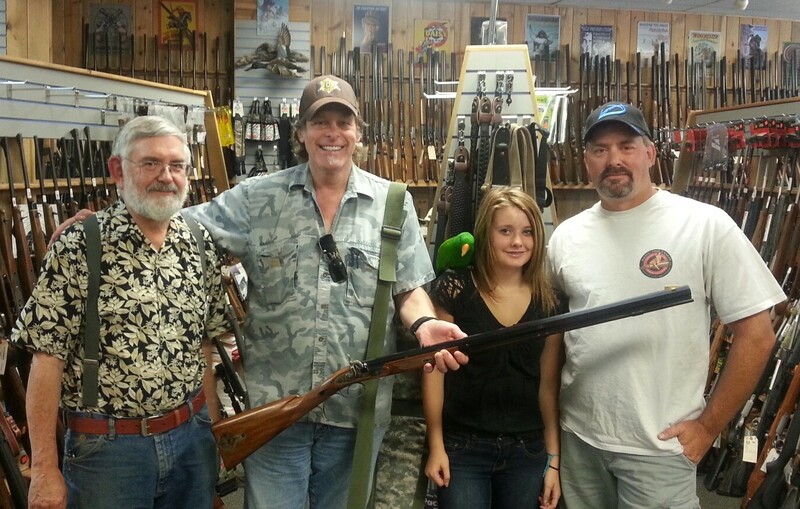 Ted Nugent stopped by recently to say hi and pick up a special black powder rifle The Gun Room Inc. had made just for him. In the picture you can see greedy Milo eyeballing Ted’s new black powder rifle and three generations of The Gun Room Inc.’s family all in one picture. Ted presented another black powder rifle from The Gun Room Inc. to Governor Sarah Palin from an earlier visit and our family grew again. If you are counted in our ranks as a customer you are part of The Gun Room Inc.’s family and know where to go but if you haven’t been in yet stop by on the corner of 56th and SE Foster or give us a call (503)777-3931.